A definite must do course. It will give you the knowledge to help yourself, your buddy or another diver in a time of need. The course fee includes an Instructor for the in classroom theory, pool skills and open water training dives as well as your course materials and a non re breather mask. Your certification card is also included once the program is completed successfully and you are current in First Aid and CPR. 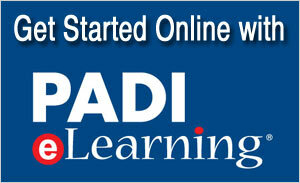 PADI`s EFR program will be run on the last session of the Rescue course for those needing the certification.